Consequently, fi’zi:k has developed Bar:Tapes in options of three different thicknesses, and with a number of different textures. Each are available in a number of different colorways to suit your bike and club colors. 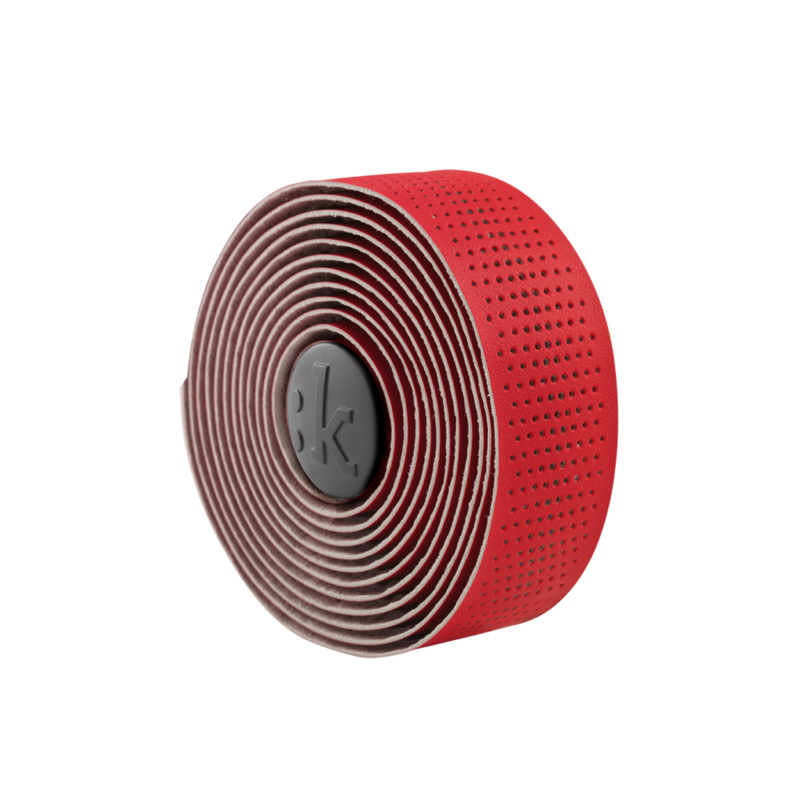 All fi’zi:k Bar:Tapes are made using durable, breathable and tactile perforated Microtex material. Laser cut perforations mean no rips or tears. Endurance tape uses 2.5mm thick padding: the ideal solution for day-long rides, combining padded comfort with direct feedback. Classic texture is familiar and loved by riders of all types. Performance tape uses 3mm thick padding: comfortable to the last km without diluting control feedback. Tacky Touch tape gives the ultimate traction, for bad weather and testing conditions. Endurance tape uses 2.5mm thick padding: the ideal solution for day-long rides, combining padded comfort with direct feedback. Soft Touch tape is easy to the hand for a slightly more gentle feel. Superlight tape uses 2mm thickness for the ultimate in feedback and control. Glossy tape looks incredible when new and clean up like new with ease. Superlight tape uses 2mm thickness for the ultimate in feedback and control. Soft Touch tape is easy to the hand for a slightly more gentle feel. Classic texture is familiar and loved by riders of all types. Soft Touch tape is easy to the hand for a slightly more gentle feel.